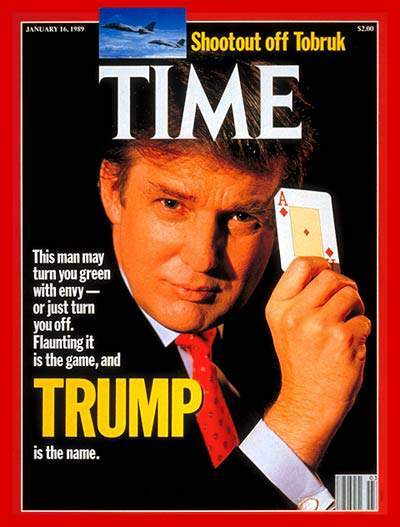 Impeach McConnell, Boehner, and Cantor Today: Four Time Magazine covers of Donald Trump, Sr: Jan. 1989, Aug. 2015, Jan. 2016, Nov. 2016....Jan. 1989: There has been talk about his having political ambitions..."even someday running for President"
Four Time Magazine covers of Donald Trump, Sr: Jan. 1989, Aug. 2015, Jan. 2016, Nov. 2016....Jan. 1989: There has been talk about his having political ambitions..."even someday running for President"
"Young, handsome and ridiculously rich, DONALD TRUMP loves making deals and money, loathes losing and has an ego as big as the Ritz -- er, Plaza." p. 2, "At 6 ft. 2 in., real estate tycoon Donald J. (for John) Trump does not really loom colossus-high above the horizon of New York and New Jersey. He has created no great work of art or ideas, and even as a maker or possessor of money he does not rank among the top ten, or even 50. Yet at 42 he has seized a large fistful of that contemporary coin known as celebrity. 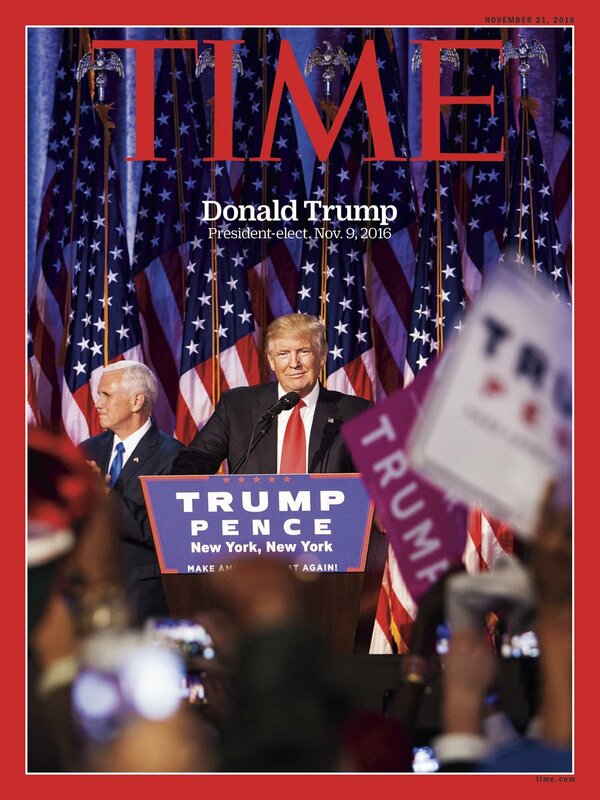 There has been artfully hyped talk about his having political ambitions, worrying about nuclear proliferation, even someday running for President." 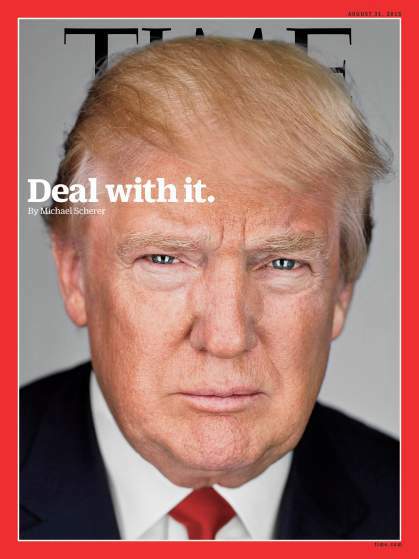 "Donald Trump is on the cover of Time magazine, and the headline reads: "Deal with it."" 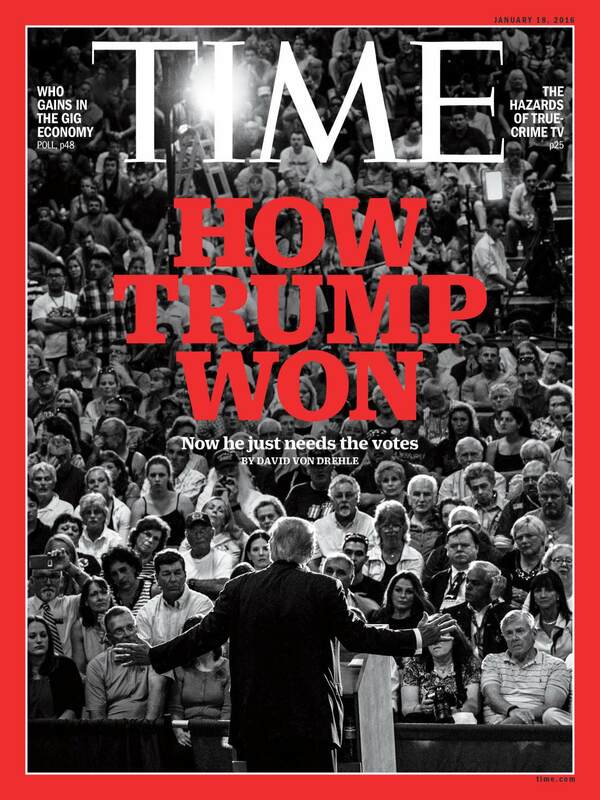 "The man is moving people, and politics does not get more basic than that. 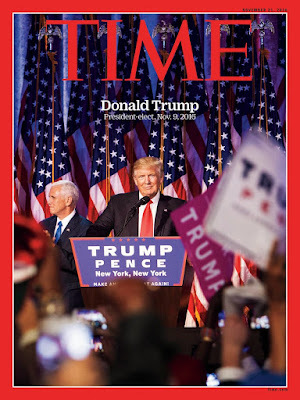 Trump is a bonfire in a field of damp kindling–an overcrowded field of governors and former governors and junior Senators still trying to strike a spark. His nearest rival, Senator Ted Cruz of Texas, has traction in Iowa among the evangelical bloc and–in contrast to Trump–is a tried-and-true conservative. But with little more than half the support Trump boasts in the RealClearPolitics average of national polls, Cruz has a long way to go to show that he can move masses." "How the real estate magnate took the Republican Party from its old bosses." 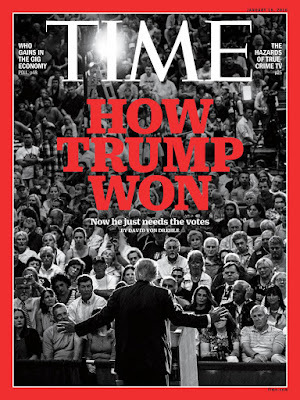 "A Campaign Like No Other"